CDs arrived in a box today. These are the E.P. called The Beautiful Truth. There’s a lot of stuff going on and it confuses me sometimes. I spent most of this year making my first album; with Danny George Wilson as producer (it’s totally SENSATIONAL). I ALSO recorded some stuff at home, separately, in the downtime (can’t stop writing, you know). Utterly delighted to get some of my favourite musicians on there and Adrian McNally of the Unthanks agreed to mix it too. I’d been listening to the Unthanks’ ‘Diversions’ series of albums a hell of a lot and just got in touch with him. He’s done a great job. 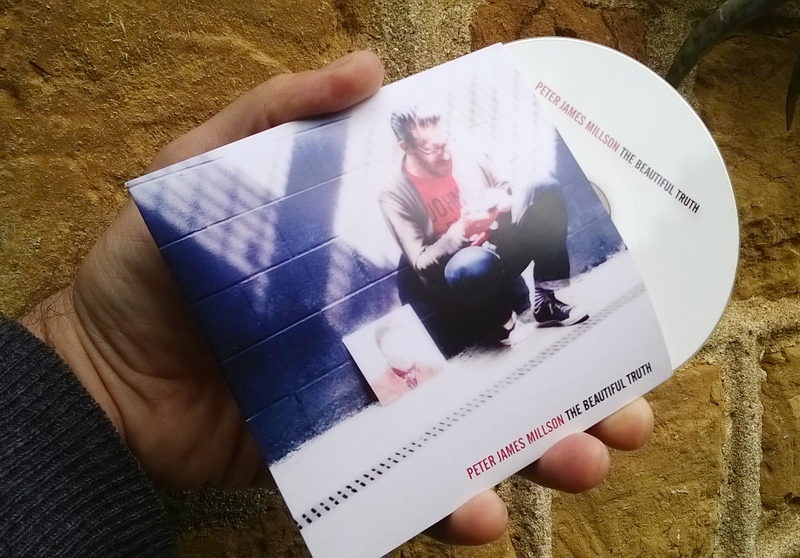 The album (out on 31 March 2014 28 April 2014)… man alive… it’s KILLER. Spent various parts of today cooking, washing-up, getting my head around applying for a tasty photography project that’s come up (I’m a photographer too – in-case you weren’t aware), watching a bit of the Were Rabbit (Aardman Animations) with the boys, walking over the fields with the boys watching deer and getting my shoes wet. Nearly finished writing a new song. Sounds cool when I list it out for myself but I feel like I’ve done f—all today. Laters.